Just six weeks after the declaration of war, the Woman’s Journal, the NAWSA’s official publication, reported, “A suffragist chairman of agriculture has been appointed in every State of the Union, ‘Chairman of Potatoes’ being the title in which they rejoice.” While the farmers of America fretted and the men crafting agricultural policy hemmed and hawed, women around the country readied themselves to get their hands dirty. 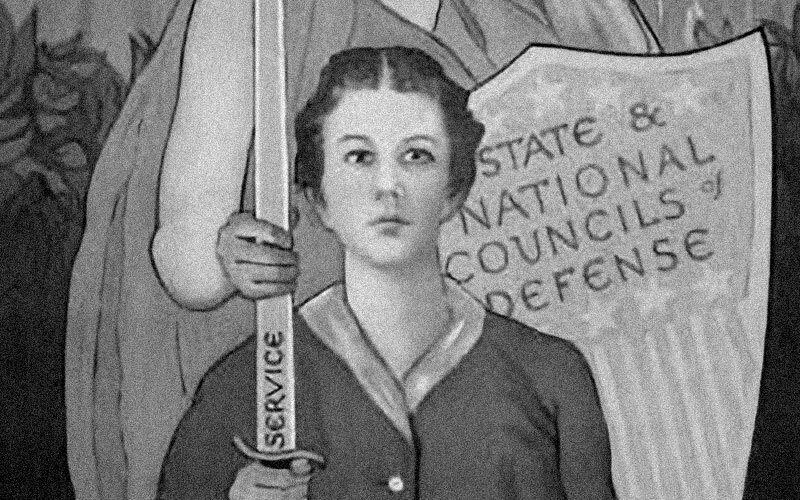 In the first weeks of wartime the women of America mobilized with remarkable speed and alacrity in every realm of civilian work and at every level, from neighborhood group to national organization. Existing women’s groups took on additional responsibilities while new clubs assembled to accomplish specific tasks. The earliest, self-propelled agriculture initiatives were products of that civilian mobilization fervor. But the urgency of the food situation and a noticeable lack of male leadership gave women a freedom to thrust themselves into the agricultural arena in a bold way. And as a light, nimble, reconnaissance unit unencumbered by bureaucracy, they moved quickly. In Michigan, Rev. Caroline Bartlett Crane, chairman of the Michigan Women’s Committee for Patriotic Service, was able to construct an elaborate mechanism for the women of her state to help increase the food supply barely a week after America declared war. A respected clergywoman, civic leader, and champion of reformist social projects, Crane personified the woman who was not willing to be circumscribed by accepted women’s roles. She’d already distinguished herself as a journalist and city editor of the Oshkosh Daily Northwestern in Wisconsin and as a Unitarian minister, leading a socially progressive congregation in Kalamazoo. When she stepped down from her pulpit, Crane began a new career as full-time civic activist, tackling unsanitary conditions in municipal food and water supplies. States and cities around the country hired her to evaluate their facilities and used her findings to push through corrective legislation. Soon, the Committee for Patriotic Service was codified as the state’s official war work coordinating body of the Michigan division of Women’s Committee of the Council of National Defense, and Reverend Crane was naturally named its chair. Similar organizations were being built in every state, city, and town, with such enormously capable women as Caroline Crane in the pilot seats.